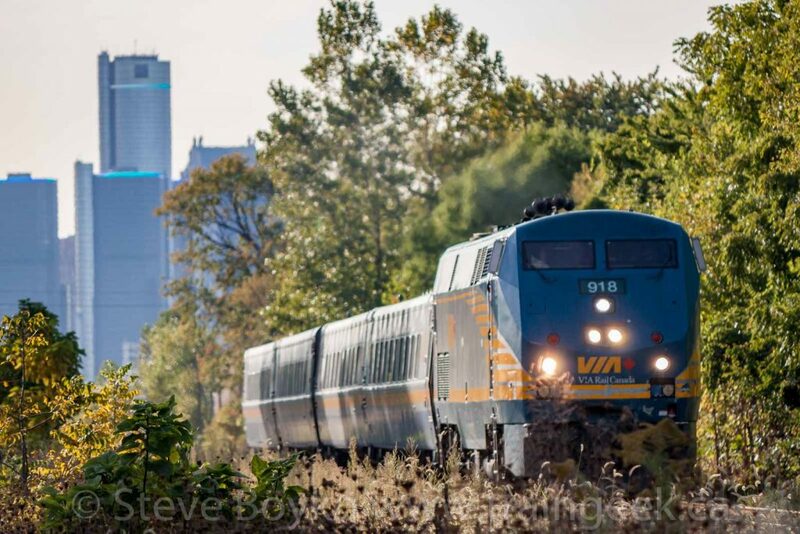 VIA Rail has selected Siemens Canada to provide new trainsets for the Quebec City-Windsor Corridor. These trains will replace the existing MLW-built LRC cars, built in the early 1980s. Siemens was selected over Quebec-based Bombardier. VIA Rail’s LRC cars at the Windsor, Ontario station, September 2012. The LRC ( Light, Rapid, Comfortable or Léger, Rapide, et Confortable) cars were designed together with their locomotives to provide a (relatively) high speed passenger train. The locomotives were based on the well proven Alco/MLW 251 prime mover, but the cars incorporated a number of new features, from their aluminum bodies through to their active tilting mechanisms. The LRC locomotives were retired by the end of 2001, but the cars have continued in service in the Corridor behind F40PH and P42 locomotives. The LRC equipment has never operated outside the Corridor in Canada. The LRCs have been refurbished and upgraded over the years, but they are getting pretty tired. 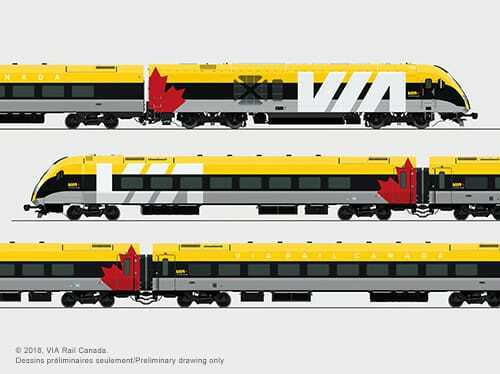 VIA Rail’s requirements for the new trainsets included: bidirectional operation, operation at speeds up to 125 MPH; enhanced accessibility features; and potential for operation in both diesel and electric modes. The trains will be powered by Siemens Charger locomotives, already in use with Amtrak California, the Illinois DOT and MARC in Maryland. There’s no detail yet on the rolling stock itself. Former LRC locomotive VIA 6921 on display at Exporail in Delson, Quebec. The new trainsets will also have modern features like LED lighting, USB ports, bike storage and so forth. 32 trainsets will be built at Siemens’ facility in the USA, with the first available for winter testing in 2021 for in-service operation in 2022. VIA has an option for another 16 trainsets. 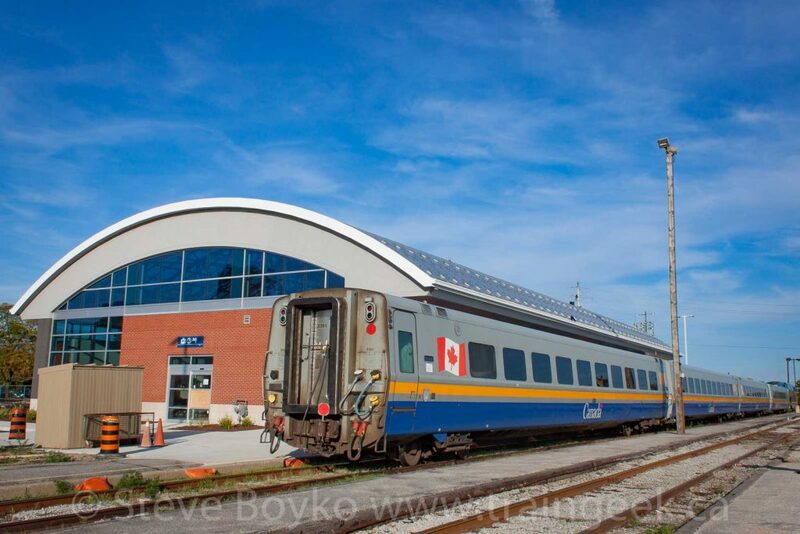 VIA Rail is also modernizing or refurbishing other cars in its fleet: 17 cars are being made more accessible by Bombardier; 25 cars are being refurbished by CAD; 4 dining cars are being refurbished by Rail GD; and 33 cars are being refurbished by VIA Rail itself. All of this work is being done in Quebec. Totally not train related, but I just finished reading the book War Dogs by Greg Bear. This is a science fiction book about marines (called “Skyrines”) fighting aliens on Mars. It’s a gritty, psychological novel very much in the David Drake Hammer’s Slammers style. I liked it very much and I look forward to reading the second and third books in the trilogy. I like Greg Bear’s work. Am I to understand correctly by the photo at the top of the “new stuff”, that it we be a “push/pull” configuration with one loco? Hi Sheldon, yes, I believe it will have a loco at one end and a “cab car” type arrangement at the other end. Eric, I believe, has information on an LRC coach making it out west for a special event. That may be the only time they have left the corridor.